Henry Lupin Frank was born in 1851 in Irontown, Ohio, near Cincinnati, the eldest son of Moses and Esther Frank of Alsace. The 1870 U.S.Census shows Moses Frank as a wholesale dry merchant in Pomeroy City, Ohio, with his son, Henry Frank as a clerk. Henry Frank headed West to the gold fields of Colorado and New Mexico before settling in Butte, Missouri, in 1877 at the age of 26. 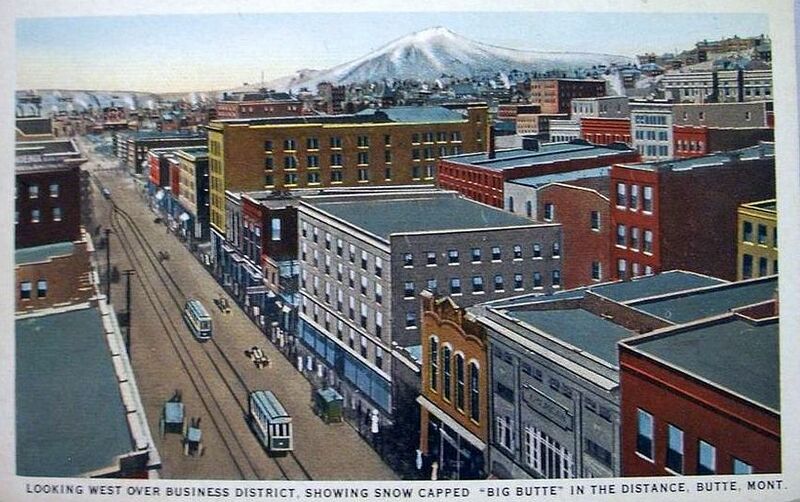 Henry Frank opened a store in a log cabin on Main Street, in Butte, Montana as a wholesale liquor distributor, the Montana Liquor Co. In 1880, Frank moved his business to the corner of Main and Broadway. In 1884, he moved to even larger quarters at Hamilton and West Broadway. In 1890, he opened his largest establishment on East Broadway. Frank purchased a one-quarter share in the Comanche Lode Claim in the Summit Valley Mining District in Silver Bow county. The mine produced gold, copper, and silver ores. In 1894, he sold the Montana Liquor Co. to local saloon owner, Adolph Wetzstein. In 1899, the mine was sold for $3,500,000. 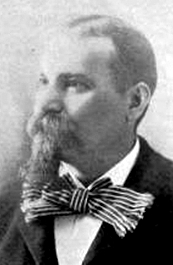 Henry Frank was elect Mayor of Butte and served from 1885 to 1887. He was also a member of the Montana State Legislature from 1889 to 1891. In 1886, Frank was the chosen as a Presidential Elector of the Democratic National Convention. 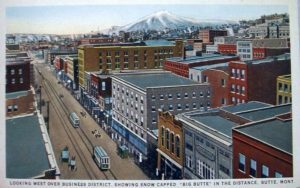 He served as President of both the Butte Water Company and the Silver Bow Electric Light Co., and was on the Executive Board of the Montana School of Mines. In 1901, Frank was appointed a Commissioner for the State of Montana at the Pan-American Exposition, in Buffalo, New York. He filled the same role at the Louisiana Purchase Exposition, otherwise known as the St Louis World’s Fair, in 1903. Henry Frank was a 33rd degree Mason Silver Bow Lodge #48 and the Grand Marshall of Masons for the State of Montana. He was also a member of the Knights of Pythias and the Elks. Henry Lupin Frank died in 1907. He is buried in Walnut Hills United Jewish Cemetery in Ohio. Julie L. Coleman, Golden Opportunities: A Biographical History of Montana’s Jewish Communities (Helena, MT: SkyHouse Publishers, 1994). Samantha Silver is our curator for this Henry Lupin Franks exhibit.